18 months ago I started seriously considering green energy sources for Waiouru. First; I must confess this wasn’t through any desire to save the planet. Rather a desire to save the wallet! The price of diesel is going to continue to increase and I see no good reason to run Waiouru’s engine simply to recharge the batteries. The options were solar or wind turbine. My research resulted in the wind turbine option being abandoned. Whilst wind turbines may be suitable for a boat that spends most of its time in a static location where there is a good and regular source of wind; it won’t suffice for a continuous cruiser. Wind turbines also have one further weakness. The vibration from the blades, mast and wire stays can transfer through the roof of the boat creating additional continuous noise inside the cabin. This left the solar option. Solar panels have been dropping in price as more mainland Chinese manufacturers start up. 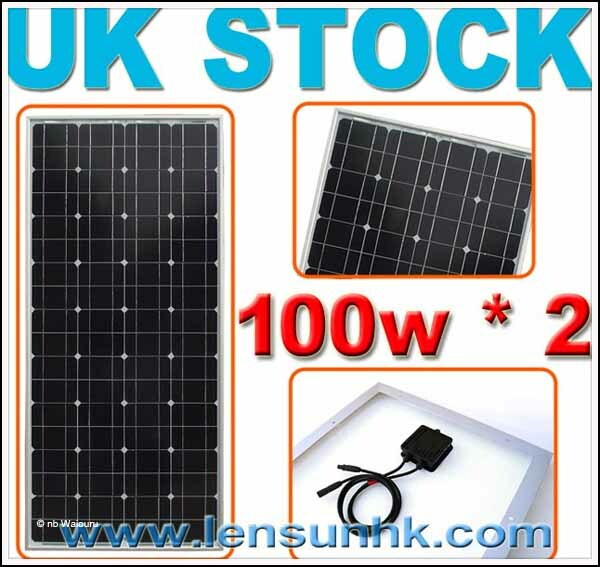 By searching through hundreds of EBay pages I thought I’d discovered a bargain when, 9 months ago, I came upon a UK based supplier selling two 100W panels for £424.25. Gleefully I watched the price steadily fall until it reached £315.80. These panels are available <here>. 200 Watts of solar energy will likely produce a maximum of 20amps per hour on a good day. That should be sufficient for all our electrical energy needs when we are on board plus some surplus capacity to top up the domestic battery bank when we are not cruising. 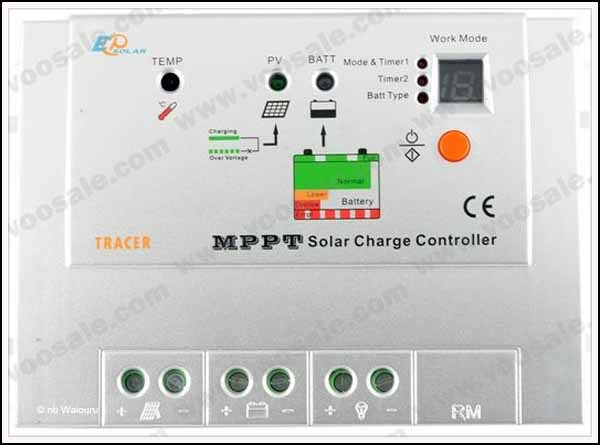 If your solar panel output is greater than 30 watts there is a good chance you might damage your batteries if your don’t use a controller/regulator. 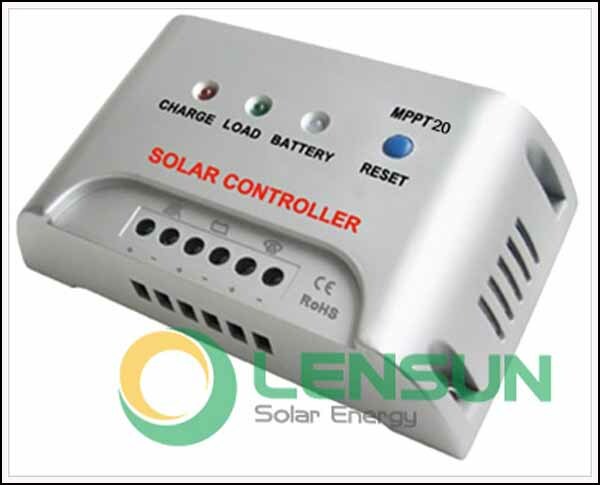 The controller “manages” the power from the panel(s) ensuring the batteries are not overcharged. Without getting too complicated, there are two types of controller, PWM and MPPT. Through some smart electronics; which I’m not going to explain; the MPPT type controller can get 30% more power from a panel than the PWM controller. Guess what…… Yes, a MPPT controller costs considerably more than a PWM! So you need to work out whether it’s cheaper to pay more for an MPPT controller or purchase a third panel. This is probably rather academic for a narrowboat as the available roof space is likely to be a limiting factor. I’ve decided I don’t have sufficient space for a third panel. Actually I probably do; but I don’t want to totally cover the available space in panels. So I have opted to use a MPPT controller. More searching on EBay found this 20A MPPT controller at a very “reasonable” price of £59.93. It’s available <here> BUT I’M NOT GOING TO BUY ONE! 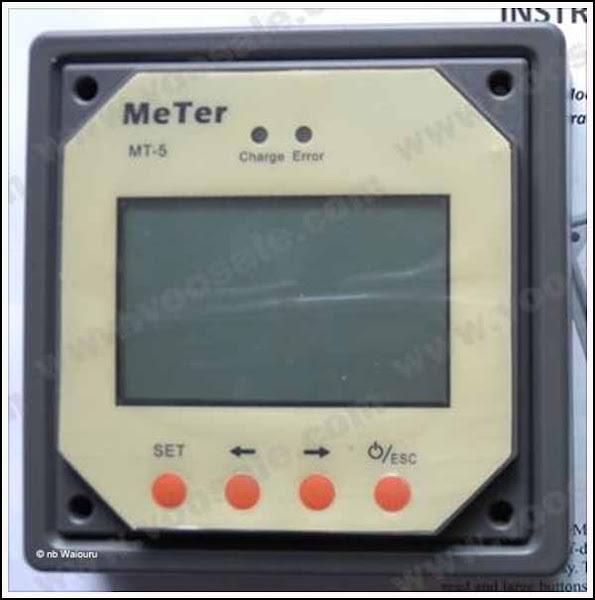 After further research I have discovered there are MPPT controllers and there are REAL MPPT controllers. The one above looks identical to the Wellsee 20A MPPT controller. If you do a search on YouTube you will find a site that has tested the Wellsee and concluded it is very poorly made. It’s also unlikely to give the additional 30% from the panels. Back to the panels. Some more recent googling resulted in me finding an even cheaper 200W panel. It’s an ET Solar 200W from SPV Concept and priced at £132. This is the best price per Watt (66p) I’ve been able to find. However at 1580x808mm in size it’s probably too large to comfortably fit on the roof and also provide sufficient safe clearance to walk around it. More information on the panel is available <here>. Did you know if you search for solar panels on EBay UK you get 132 pages of listed responses. I know… you’re not really interested in that! 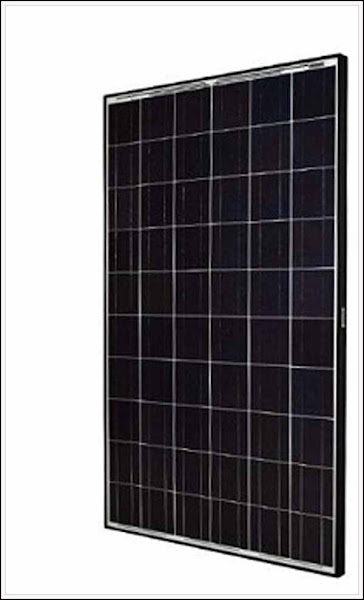 However I’ve found another potential supplier of 100W panels and the cost per panel is £130. That’s almost the same price as the 200W panel above. However the size is 1200x540mm which is likely to make them easier to install on a narrowboat roof. They can be purchased here (where’s the bl**dy hyperlink!) Well there are only five left in stock so you can go and search through the 132 pages on EBay. With a little luck there will only be three available because I’ll have purchased two! Oh yes….. The 20A MPPT controller! After more research, the most cost effective and reliable controller I can find is the “Tracer”. It’s manufactured in China and has had some good reviews. I also like the sizeable heat sink on the rear and the internal electronics look to be of a reasonable standard. The Tracer has an optional £21.99 remote LED display to show you what is happening. My current preferred option is to purchase two £130 100W panels with the Tracer MPPT Controller and remote meter. Total cost is £362 (plus any duty on the controller). Have you checked out the peel 'n' stick solar panels? They're pricier than what you've been looking at, but have the added advantage of a low profile (approx 4mm) and zero maintenance. Yes I did consider the peel & stick solar panels. They are more expensive. The other consideration (for me) was I wouldn't be able to subsequently fit them on a swivel & tilting mounting system to optimise output.